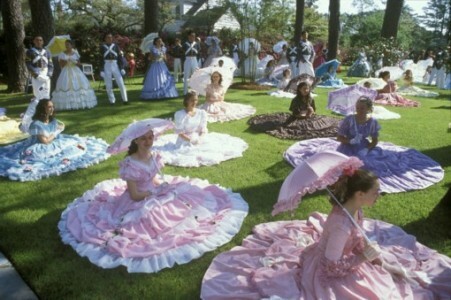 According to news reports, more than 200 people were cited for crimes or arrested during the 2011 North Carolina Azalea Festival. WECT (the NBC television affiliate in Wilmington) cited Division of Alcohol Law Enforcement as the source of that report. They said that the charges ranged from drug trafficking to underage drinking, fake identification (fake ID), and carrying concealed weapons without a permit. The story stated that: ALE states 269 charges were made on 218 people, including 17 fake identification violations, 53 charges of possession of alcoholic beverages by an underage person, 36 drug charges including trafficking in opium, and carrying a concealed weapon without a permit. ALE also tested local businesses for selling alcohol to minors. The WECT story also said that the NC Highway Patrol also conducted two DWI checkpoints during the Azalea Festival due to the large influx of tourists. The story said that First Sgt. Troy Pope with Highway Patrol reported that a total of 68 people were cited for DWI, while 498 people were cited for other violations. 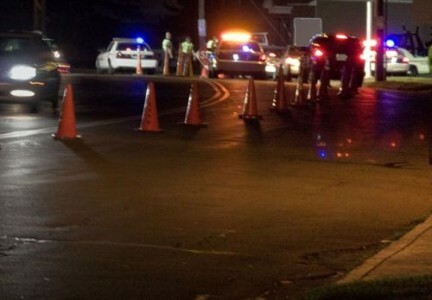 The Star News (the main news paper in Wilmington NC) reported that the N.C. Highway Patrol had arrested 68 people for driving while intoxicated (DWI / DUI) Saturday and Sunday morning at checkpoints, according to Sgt. Matt Hardee. Sgt. Hardee said that “Booze It and Lose It” checkpoints were set up on Martin Luther King Drive and on U.S. 74/76. According to the story, Sgt. Hardee also said that the arrests bring the total number of DWI arrests to over 2000 since January, 2010, and 276 in just this year in New Hanover and Brunswick counties. When a law enforcement office arrests a person for DWI, there are legal procedures that must be followed, and if the requirements are not met, and if challenged, it can result in the acquittal (a finding of not guilty or a dismissal of the charge) of the accused. We always counsel people against drunk driving, which is a very serious crime. But if you have been accused of any crime, Collins Law Firm can help. We are available 24/7 by appointment. If you have been accused of a crime, call us for a consultation at: 910-793-9000. Spring is here, and people across the Southeast are thinking about going to the beaches in Southeastern North Carolina and planning trips. We have beautiful beaches in our area. In New Hanover County, there is Wrightsville Beach, Carolina Beach, Wilmington Beach, and Kure Beach. In Pender County, there is Surf City and Topsail Island. In Brunswick County, there is Sunset Beach, Holden Beach, Oak Island, Caswell Beach, and Ocean Isle Beach. There are many efforts to prevent littering, and many make the news in our region. 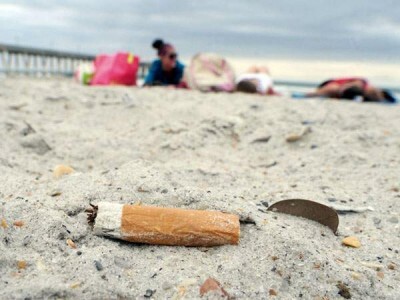 In Wrightsville Beach, the Cleaner, Greener Wrightsville Beach committee has proposed a list of ideas to help prevent littering. They proposed the following steps: to develop a visual image for regular signage and holiday banners to remind visitors to keep Wrightsville Beach clean; create a logo that can be included on T-shirts (possibly signage and banners, too) to identify beach sweep volunteers and solicit volunteers to educating the public about cleaner, greener efforts; color code recycling containers and consider additional recycle locations on the beach strand; maintain the Green Tab on the town’s website through IT manager, Raquel Ivins; work with the Wrightsville Beach Merchants Association and Mayor David Cignotti coordinating with their litter awareness efforts; and study and use results of the Cleaner Greener Survey in developing ideas and plans. Another program is North Carolina Big Sweep. They finished first in the voting in the MillerCoors River Network competition. The first prize is a $30,000 grant. The statewide non-profit group says the money will be used to coordinate cleanups in all 100 counties in North Carolina and to implement a litter awareness campaign. WWAY has partnered with Big Sweep on annual beach clean-up programs in the area. Our beaches are beautiful, and we should all help to alleviate littering. Littering on most of our beaches is a crime – a misdemeanor, and a conviction for littering can remain on one’s criminal record for life unless steps are taken to prevent it. If you are charged with littering, or any other crime in our area, Collins Law Firm can help prevent the consequences of being charged, such as court appearances, and convictions and the subsequent consequences of a conviction such as fines, court costs, probation, etc. We have been doing so for over a decade. One way we often help avoid convictions for such crimes as littering is to negotiate with law enforcement and the district attorney’s office to have a client perform a number of hours of volunteer service. Often that volunteer service can be picking up litter on the beach. If you have been charged with littering, or any other crime in our area, call Collins Law Firm at 910-793-9000 for a consultation about what we can do for you.